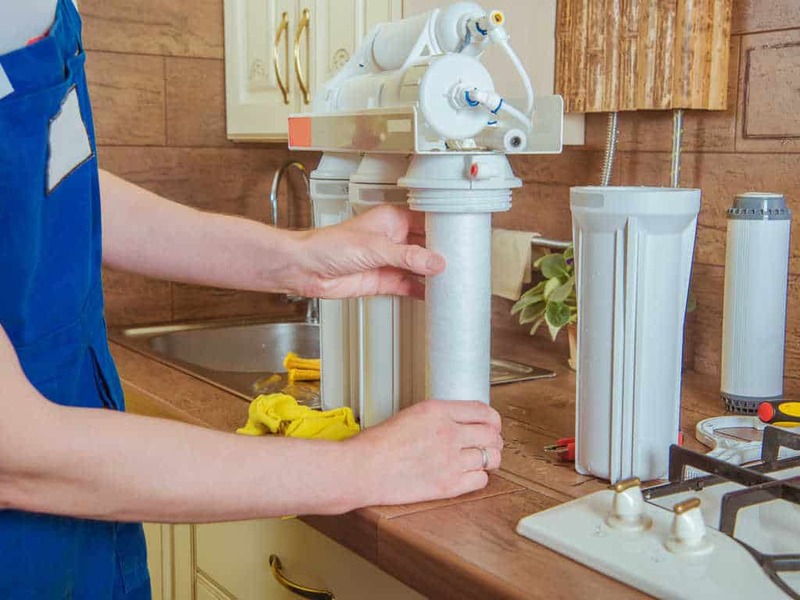 If your home or office needs a reverse osmosis (R/O) water filtration system installation or service, Drain Doctor in Ponca City is your dependable R/O system expert for all your water purification needs. We recommend R/O systems that will ensure that the water coming through the system is almost entirely free of dissolved solids. We recognize how important is the health and safety of your family and your employees, and once you taste the difference (odorless, clear, and having a natural taste), you will appreciate the pure water that our R/O systems produce. We only choose systems that are built to last, and where we can assure you careful delivery of purified and healthy drinking water for years to come. Our committed plumbers are trained to provide you with the right guidance instead of pushing the most expensive or largest water filters on the market. We will install an R/O system that is sized appropriately for the needs of your family or your workplace. Our reverse osmosis water systems are designed to be trouble-free and mostly function without any breakdowns for years. All you may require is routine maintenance and pre-scheduled water filter cartridge replacement services from us. Call us today in Ponca City, OK at (580) 304-9653 for an installation or submit this online form to schedule a service.